2017 was a crazy year for my family and me. We moved twice, my girls started becoming little ladies, my husband traveled a lot and I had a miscarriage. It was wild and full of highs and lows. I started 2018 by reflecting on all that happened during the last year and I chose three words as my mantras for the year: change, chaos and clarity. But in all seriousness, I’m writing this post to share the news and also to ask (or prepare you?!) to be ready for tons of questions. Mamas, I haven’t been pregnant since 2013. Eek! Some things will be the same, but SO MUCH seems to have changed! First item on the list – maternity clothes! If you’ve got any preggo clothes recommendations, send them my way! I continue to be excited about the journey that is happening for my family and me in 2018. No doubt it’ll be fun and full of change, definitely lots of chaos. (I forgot how tired you get!) and finding clarity. It can only get better from here! Thanks for joining me on this journey. 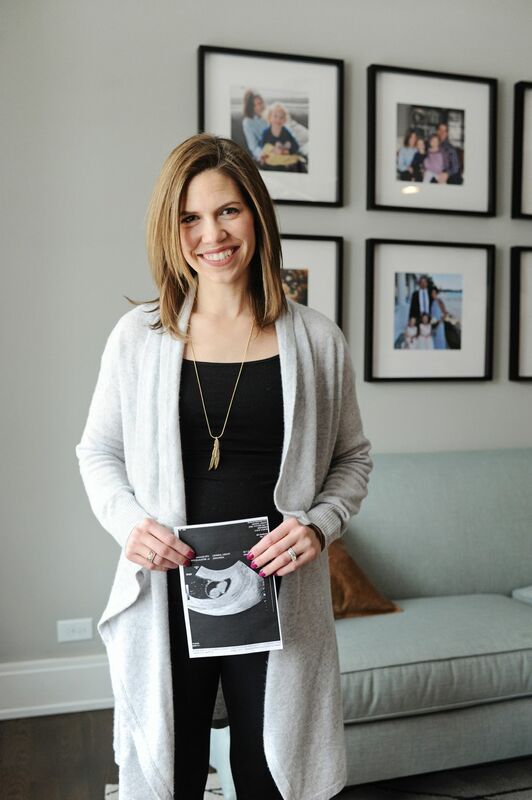 I’ve got so many ideas and thoughts about pregnancy and growing families -- I’ll be sure to share more soon.